Monday’s 43-37 loss to the Green Bay Packers didn’t shake up the NFC South since the Carolina Panthers beat the New Orleans Saints. While Atlanta and New Orleans have the same record, the Falcons own the head-to-head tiebreaker. On Sunday, Atlanta returns to the Georgia Dome to host the 8-5 Pittsburgh Steelers. To harp on the ineptitude of the NFC South: even if Atlanta loses, they can still win the division by defeating the Saints and Panthers in the final two games. On the other hand, the Steelers need a win to stay in the mix in both their division and a logjam of an AFC playoff race. 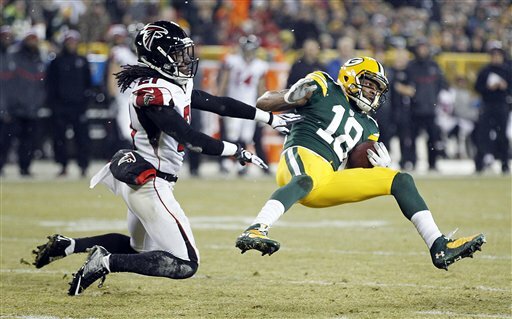 Against the Packers, the Falcons had a slow start as they scored just seven points in the first two quarters and found themselves down 31-7 at the half. But the offense came out on fire in the second half – particularly Julio Jones, who almost carried the team to victory as he piled up 259 receiving yards before exiting the game with a hip injury. Atlanta’s success will largely depend on Jones, whose status is uncertain. If he is unable to go against Pittsburgh, it will be tough for the Falcons to keep up with a Steelers offense that is ranked second in the league in both total yards and passing yards. The matchup to watch will be Steelers wide receiver Antonio Brown versus Falcons cornerback Desmond Trufant – two young players who have established themselves among the best players at their respective positions. Opposing quarterbacks have opted not to challenge Trufant much. When they do, they’re not usually successful. Ben Roethlisberger may take a similar approach and the Steelers may move Brown around to fully take advantage of Atlanta’s last ranked pass (and overall) defense. Green Bay’s Eddie Lacy proved to be a bit too much for Atlanta as the running back totaled 106 yards and two touchdowns on 18 touches, and routinely made defenders look foolish. Now the Falcons’ 21st ranked rush defense has to try to contain the Steelers’ ultra-versatile Le’Veon Bell, who has gained a total of 1,924 scrimmage yards and scored eight touchdowns on the season. This game will likely be a shootout. If Jones is able to play and the Falcons offense maintains the form it showed in the second half of Monday night’s game, then they should come away with the victory. And I think they will.